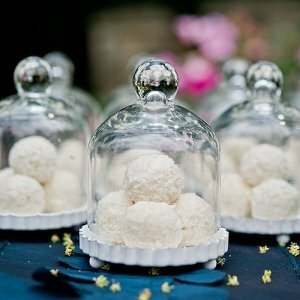 A glass bell jar has the power to create an elegant feel for your wedding, and these mini versions are the perfect way to add an irresistible touch to your wedding. Created in the classic style, they're perfect whether you want to add delicious homemade treats or something a bit more classic like a gorgeous butterfly on a bed of moss. 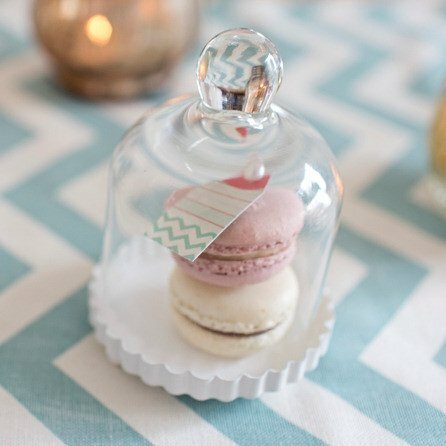 The clear glass dome will highlight whatever you decide to put inside, and the white fluted base helps make this little favor a natural focal point for your table. 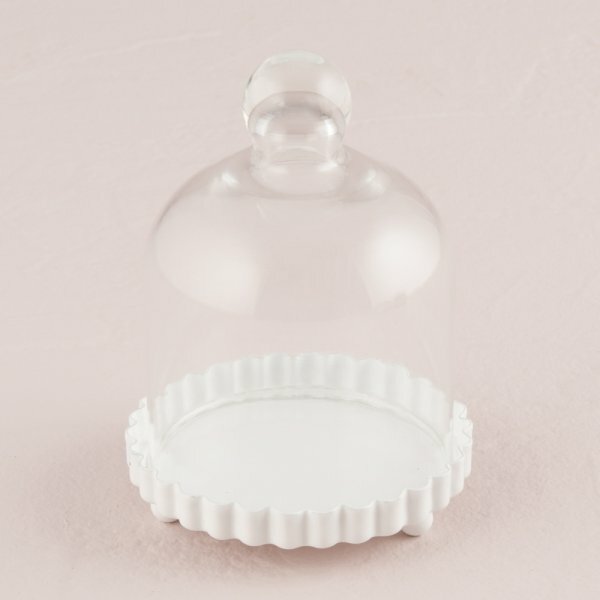 I wanted to see the actual size of the mini bell jar do you send samples? 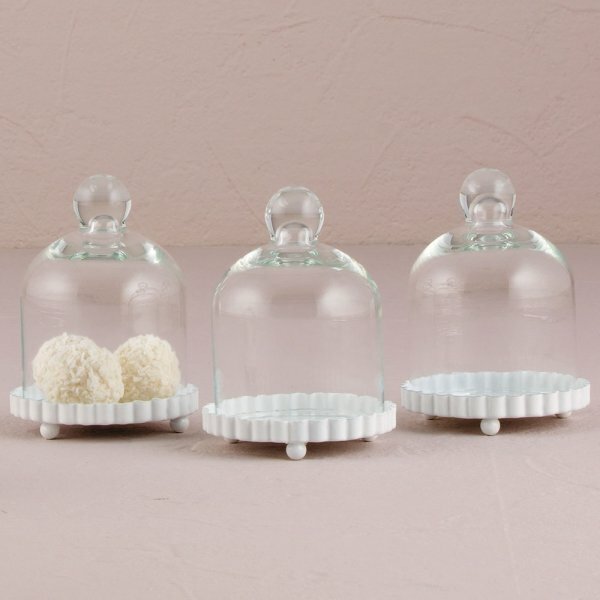 I'm sorry the Miniature Glass Bell Jar with Base is sold in sets of 4. 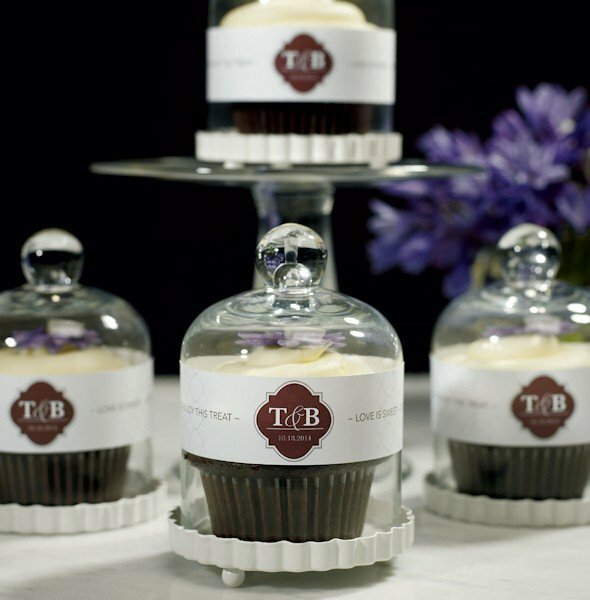 The height of base and glass is 3-1/2 inches (not including the ball on the top) and the width of the glass is 2-3/4 inches. 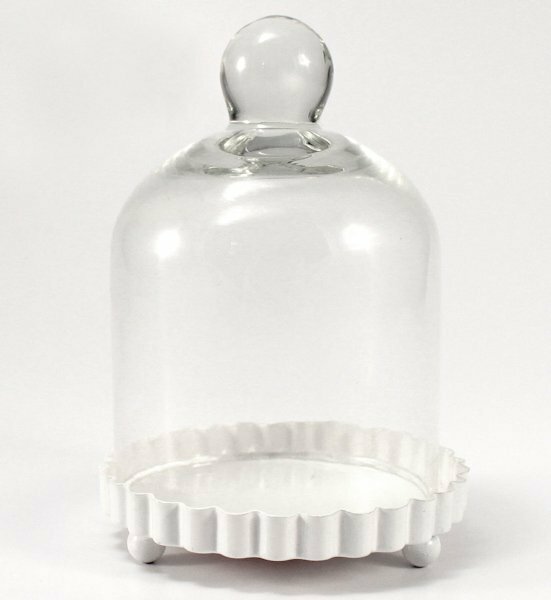 The base made of metal with white coating & measures 3 inches in diameter.